The biggest inhibitor to my development as a math teacher is that I don’t teach or do math enough. That should make plenty of sense. I’ve ramped up my teaching since fall with regular (okay, monthly) sessions at a local San Francisco high school. Opportunities to do math are bit easier to find and a bit easier to wedge into empty corners of my day than classroom teaching. I was grateful, for example, that Jennifer Wilson built plenty of time for doing math into her workshop today at North Carolina’s state math education conference. She posed this problem (source unknown) and I experienced two insights into how I experience mathematical insights. First, I approximate an answer. 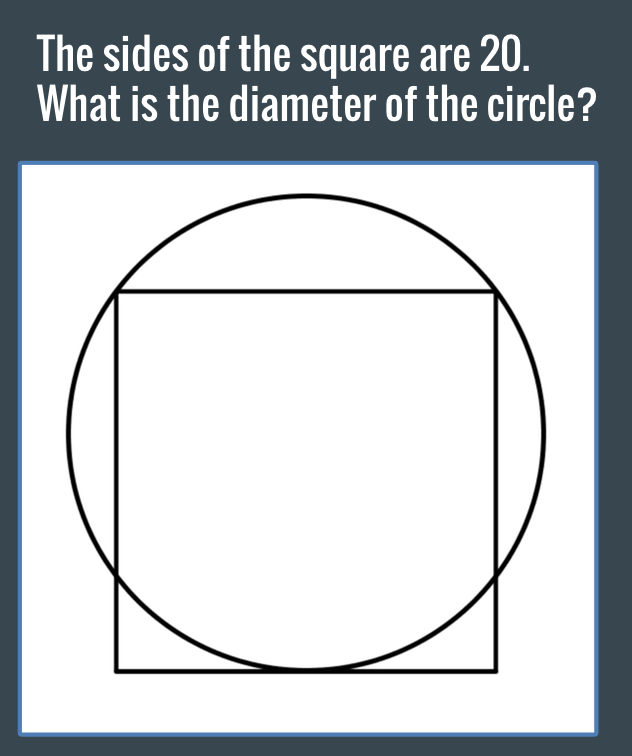 I recognize that the diameter of the circle will be larger than the side of the square. That’s because I can draw the diameter in my imagination and compare the lengths, and also because I know that chords in a circle are never longer than the diameter. I’m guessing the diameter is around 25 units, not more than 30, and not less than 21. When the square becomes legal at the end, I hear an actual “ding” inside my brain. That’s when all the constraints make sense to me and I can start writing down variables and relationships. That last “20 – r” was only possible because of the exercise of mentally making different illegal and legal squares. From there, I trotted over to Desmos with a Pythagorean relationship in my hand. Because I had approximated right and wrong answers earlier, I knew that 12.5 was too low. I realized that was the radius so I doubled it for the diameter. Here visualisations are used to help with understanding what the problem is about. The visualisation gives pupils the space to go deep into the situation to clarify and support their understanding before any generalisation can happen. At least that’s the best term I can coax from the Internet. I don’t know if Polya’s work on problem solving speaks to that practice directly. If you have another name for that process, let us know it. If you’ve made mathematical problem solving a part of your development as a teacher, let us know how. And if you have an interesting problem to share, let us know about that too. I’ll leave you with this awesome little number from Brilliant. I promise you can solve it. If you ask a literature teacher what book they read most recently for pleasure and they don’t have an answer that’d be really worrying. But I bet it’s pretty rare. If you ask a math teacher what math problem they most recently worked through for pleasure, I bet the results are much scarier. For decades, there has been a focus in ELA classes around a push that teachers who read, know how to teach (and reach) readers. Let’s start a similar movement among math educators. With some over simplification, real problems are not about mathematics, certainly not about arithmetic. The problem is the formulation of the problem. To suggest a problem is particular to values of parameters points toward evaluation as the critical component of its solution. It is not. Evaluation is particularization of a general formulation. A bald assertion: this is at the root of the difficulty students have with “real” problems. 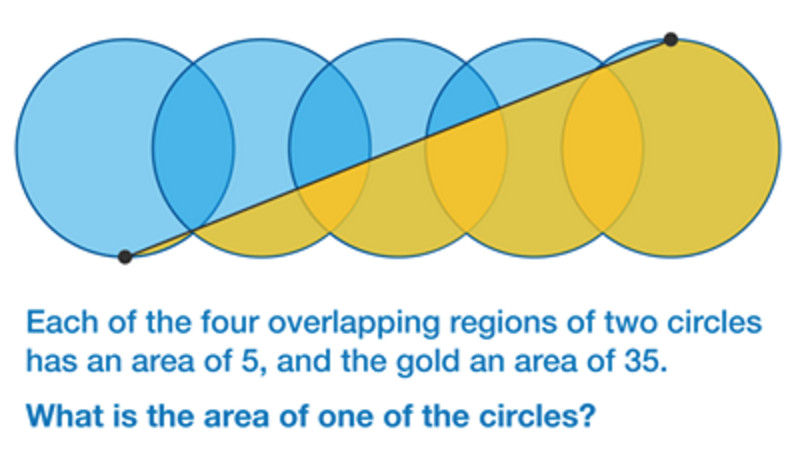 Simon Gregg offers his own solution and then links to a fascinating question about perimeter. 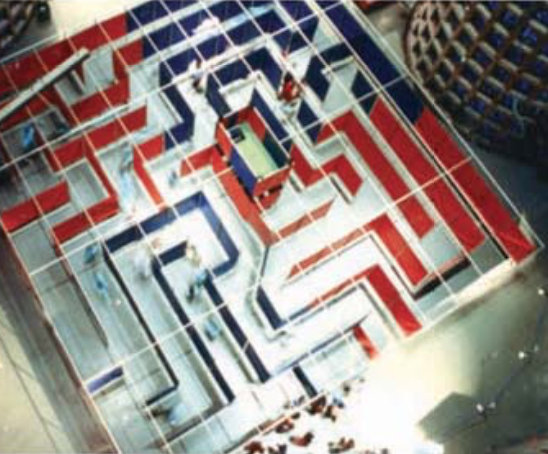 In Marcellus the Giant, the new activity from my team at Desmos, students learn what it means for one image to be a “scale” replica of another. They learn how to use scale to solve for missing dimensions in a proportional relationship. They also learn how scale relationships are represented on a graph. There are three reasons I wanted to bring this activity to your attention today. Marcellus the Giant is the kind of activity that would have taken us months to build a year ago. Our new Computation Layer technology let Eli Luberoff and me build it in a couple of weeks. We’re learning how to make better activities faster! It’s hard for print curricula to connect to existing student thinking. Those pages may have been printed miles away from the student’s thinking and years earlier. They’re static. In our case, we ask students to pick their own scale factor. 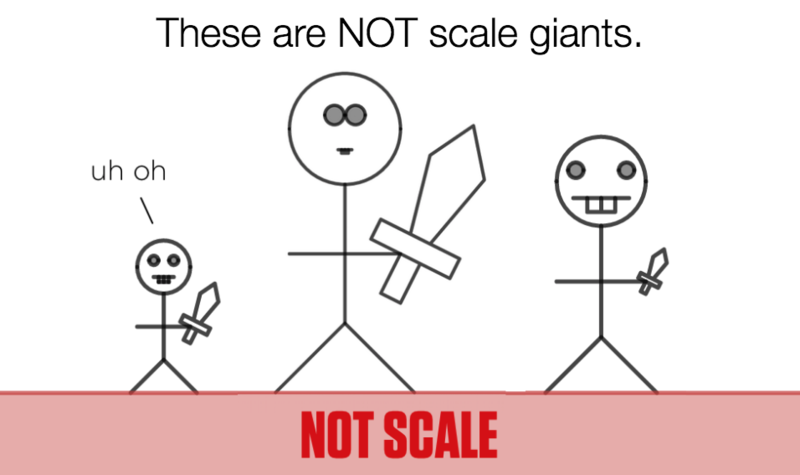 Then we teach students about proportional relationships by referring to the difference between their scale factor and the giant they created. You made Marcellus 3.4 times as tall as Dan but you dragged Marcellus’s mouth to be 6 times wider than Dan’s mouth. 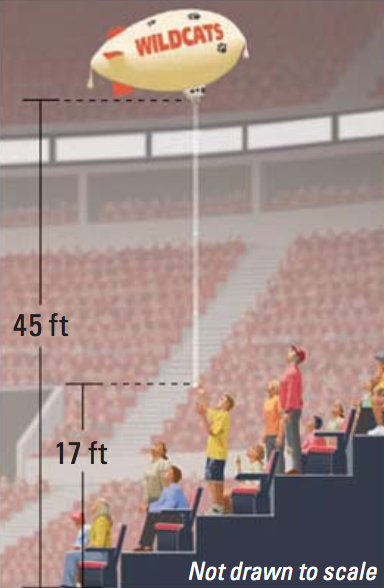 A proportional giant would have the same multiple for both. Our hypothesis is that students will find this instruction more educational and interesting than the kind of instruction that starts explaining without any kind of reference to what the student has done or already knows. That’s possible in a digital environment like our Activity Builder. I don’t know how we’d do this on paper. Marcellus the Giant allows us to connect math back to the world in a way that print curricula can’t. 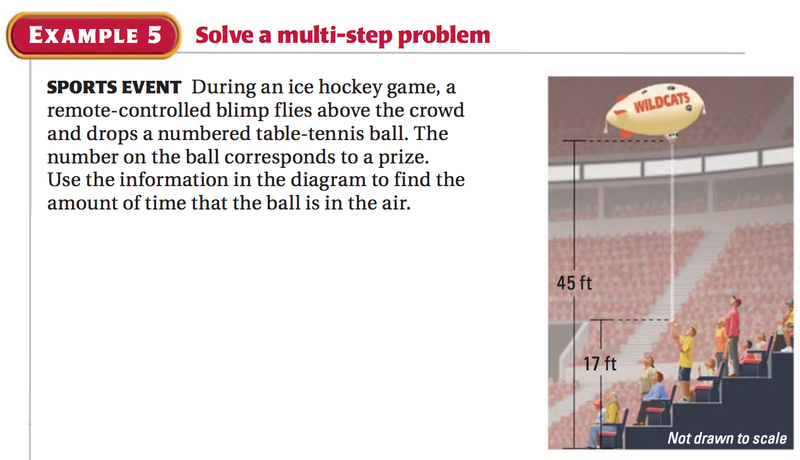 Typically, math textbooks offers students some glimpse of the world – two trains traveling towards each other, for example – and then asks them to represent that world mathematically. The curriculum asks students to turn that mathematical representation into other mathematical representations – for instance a table into a graph, or a graph into an equation – but it rarely lets students turn that math back into the world. If students change their equation, the world doesn’t then change to match. If the student changes the slope of the graph, the world doesn’t change with it. It’s really, really difficult for print curriculum to offer that kind of dynamic representation. But we can. When students change the graph, we change their giant. There is lots of evidence that connecting representations helps students understand the representations themselves. Everyone tries to connect the mathematical representations to each other. Desmos is trying to connect those representations back to the world. The classic mistake was for kids to forget to count themselves. 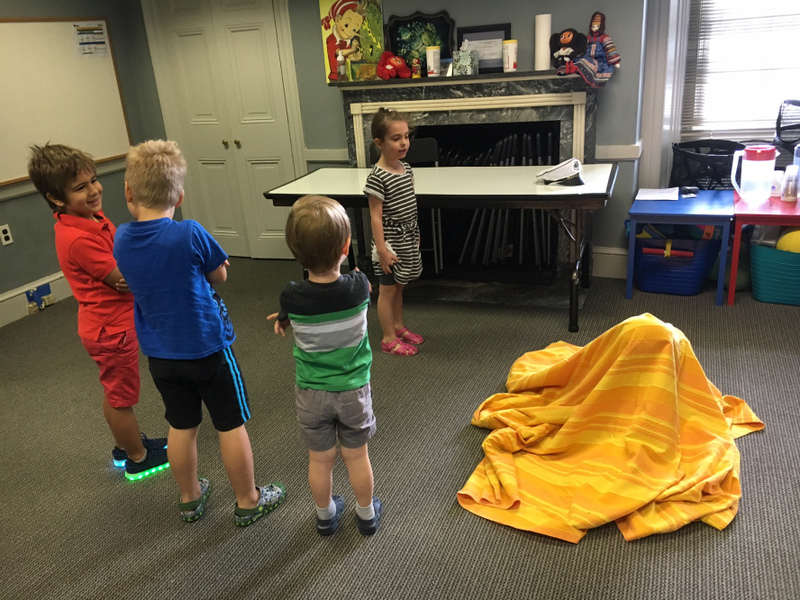 Then I would ask them, “How many kids are not hiding under the blanket?” When they would say the number of kids they saw, I’d follow up with, “So you’re hiding under the blanket?” And then they’d laugh. From here, it becomes a beautiful blur. Students continue to earn “expert” status and become “up for hire”, popping out of their seats to help a bud. At one point today, every struggling student had a proud one-on-one expert tutor, and I just stood there, scrolling through the teacher dashboard, with a silly grin on my face. I’d love to know how we could employ experts without exacerbating status anxieties. Ideas? My students were working independently on a few problem when I set the ground rules. I told my students that I was going to require them to ask a question when I was walking around to each person. I also said that if they did not have a math question, they could ask any other (appropriate) question that they liked. One way or another, they would have to ask me a question. It was amazing. I also have kids sign up to be an expert during group work, indicating that they’re open to taking questions from other students. Sometimes, after a really good small group conference, I’ll ask a student to sign up to be an expert.